A casino operator in Canada is suing the British Columbia Lottery Corporation (BCLC) for engaging in misrepresentation. 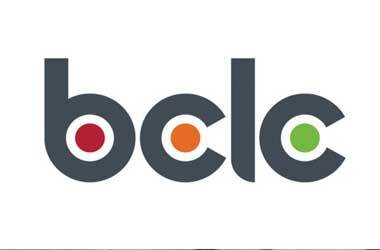 The company claims that BCLC led it believe that it would be awarded a license to run casino facilities on Tsleil-Waututh land when the BCLC had already gone ahead and granted the license to another company. Casino operator Pinnacle Gaming Solutions, owned by David Moretto, a resident of North Vancouver filed a case on January 8 in the British Columbia Supreme Court against BCLC, the state-owned lottery corporation. In the lawsuit, Moretto stated that his company had entered into dialogue with several First Nations (indigenous peoples of Canada) with respect to setting up gaming facilities on their lands. After discussions, his company and the Tsleil-Waututh tribe entered into an agreement where Moretto’s company would represent their combined interests in a proposal to set up a casino on tribal land. Under the agreement, the company was to act as an agent and engage in talks with the BCLC and complete all necessary procedures to set up the casino and in return, Pinnacle would receive a percentage of gaming revenues. In this context, Pinnacle’s executives attended multiple meetings with executives of the lottery corporation including BCLC presidents Michael Graydon and Jim Lightbody between 2008 and 2015 to discuss the viability of setting up a casino on First Nation land. The lawsuit claims that based on the results of a feasibility study, which was in line with BCLC’s earlier study, both BCLC and Pinnacle concluded that casino on Tsleil-Waututh lands would be profitable. According to Pinnacle, BCLC was particularly in favor of the proposed gaming facility on Tsleil-Waututh lands as there were no casino or gaming facilities on the North Shore and there were also no other proposals to set up one there. However in April 2015, Pinnacle learned that BCLC had awarded Playtime Gaming Centres, a company owned by Mr. Tom Nellis, the exclusive license to develop a gaming facility on the North Shore in or around 2009 itself. This was not disclosed to Pinnacle despite ongoing discussions between it and BCLC at that point in time and also later on setting up gaming facilities on Tsleil-Waututh lands. Moretto has claimed in his lawsuit that the BCLC misrepresented the situation and Pinnacles’ likelihood of getting approval for the casino license was out of the question since it was already awarded. The company is seeking general, special, aggravated and punitive damages, claiming that it incurred “substantial financial losses” during the course of the representations made to BCLC.